Is the Sony A7R II good for Landscape Photography? Sony A7R II has a score of 86 for Landscape Photography which makes it an EXCELLENT candidate for this type of photography. It will satisfy all your need in Landscape Photography, no need to look further for other cameras. Making fine focus adjustments using live view is more precise than doing it with a viewfinder. 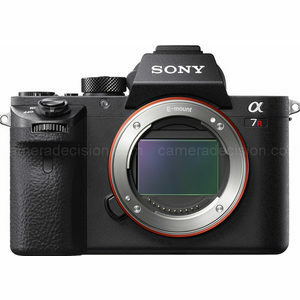 Large sensor in Sony A7R II ensures a good low light image quality compared to smaller sensors, and it also provides higher pixel quality compared to smaller sensors. Sony A7R II's 42.0MP sensor is perfect for landscape photography. It will capture a lot of fine details and let you print them larger. Landscape photographs are taken outdoors and you should be prepared for all kind of weather conditions.